285 East 3rd Street, 2nd floor. In 1993, a further transformation of the space by Dora Espinoza, a Peruvian photographer, produced Tribes Gallery. Since then, Tribes has evolved into a performance venue and meeting place for artists and audiences to come together across all artistic disciplines, all levels of complexity, and all definitions of difference. In this pan-disciplinary, multi-cultural environment, artists exchange ideas, create peer relationships and find mentorship. 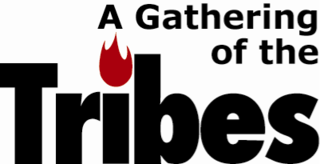 Through Tribes’ publications, readers encounter a unique synthesis of literature, visual art, criticism and interviews with promising artists of all kinds. In an attempt to attract a wider audience for these artists, Tribes additionally organizes an annual outdoor event — The Charlie Parker Festival — to engage members of the community who have seldom, if ever, attended literary or artistic events.